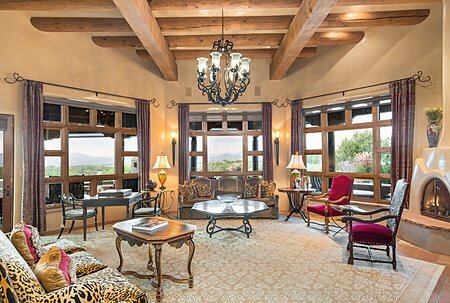 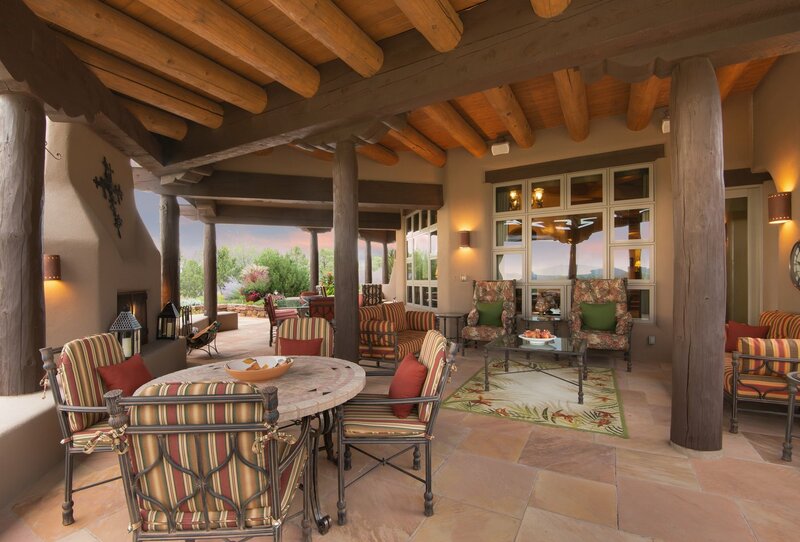 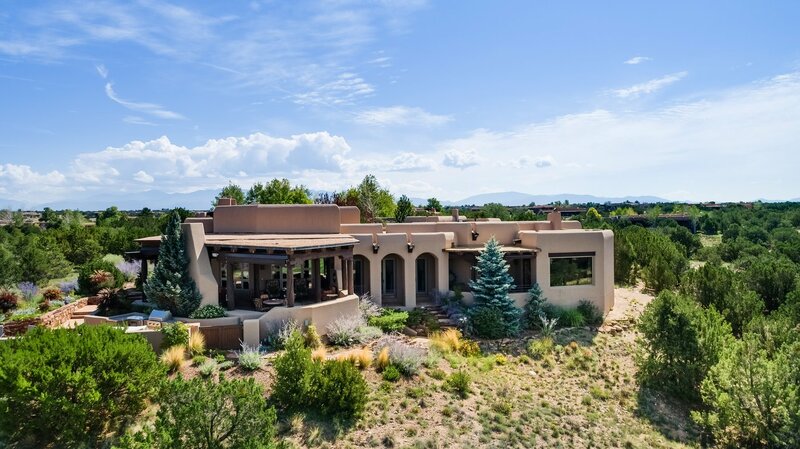 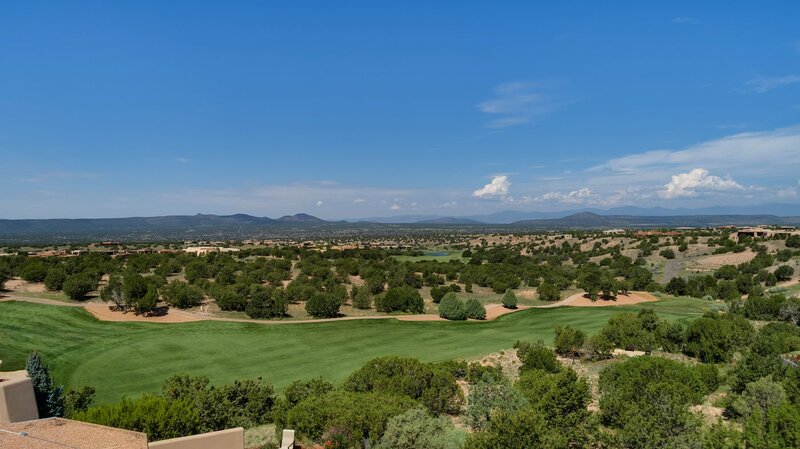 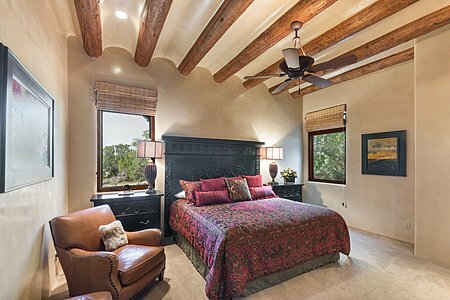 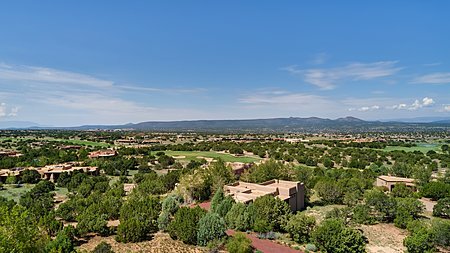 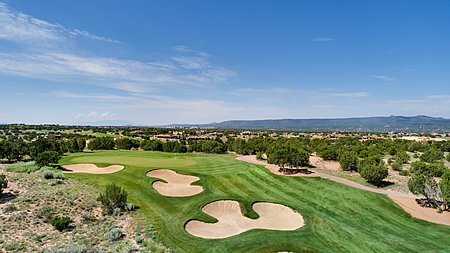 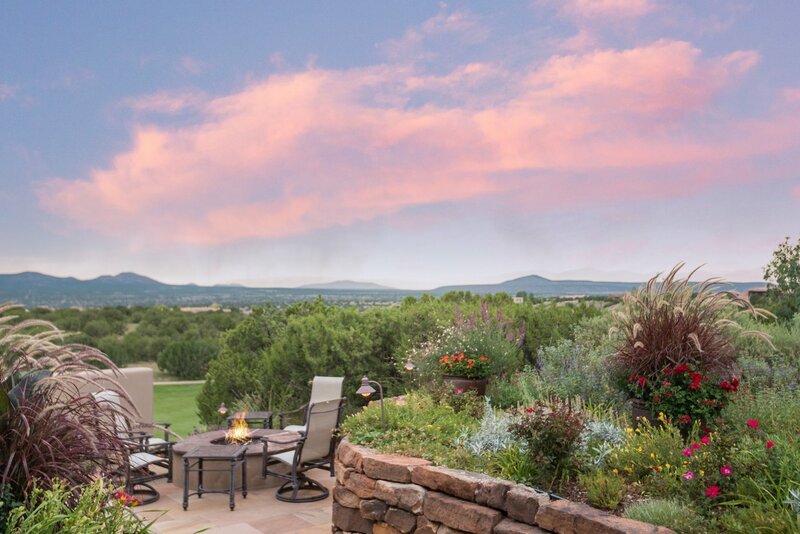 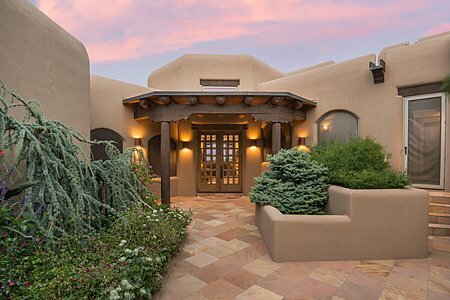 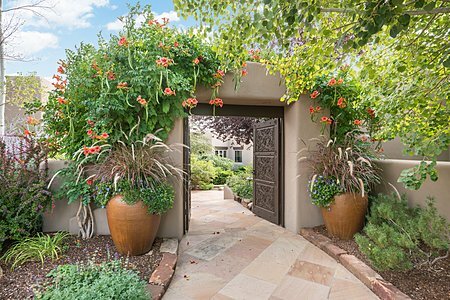 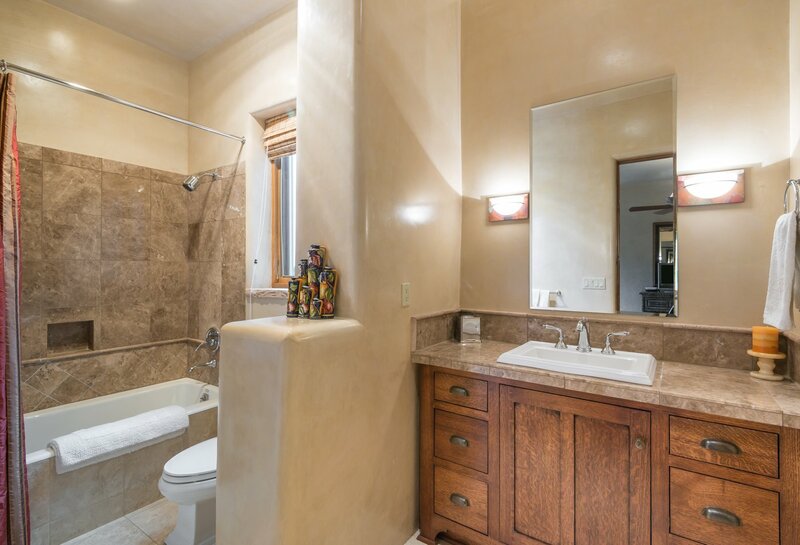 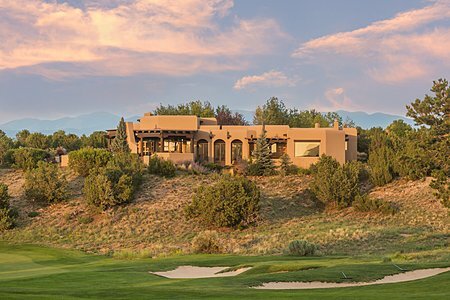 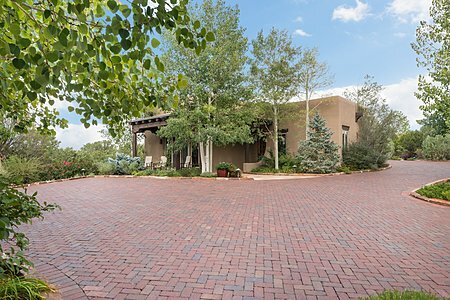 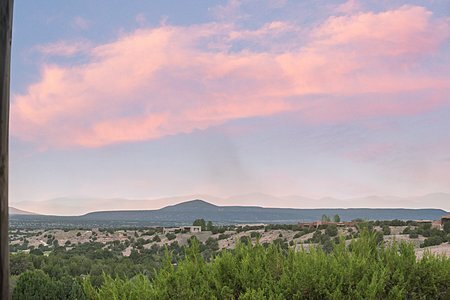 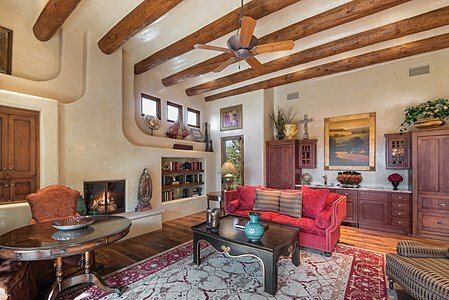 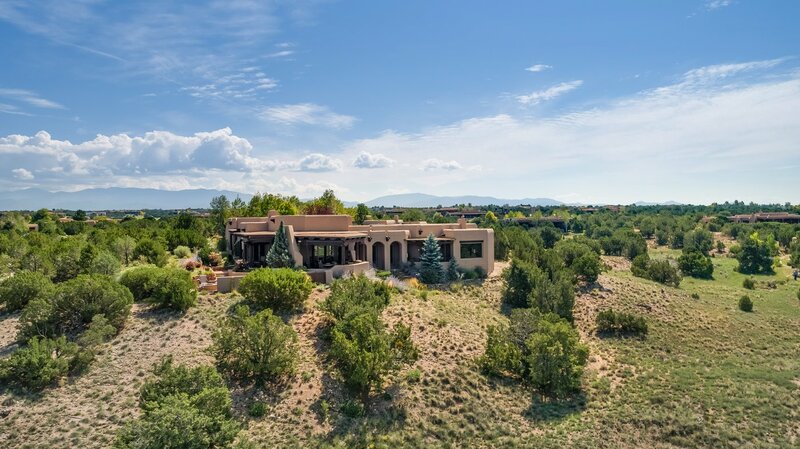 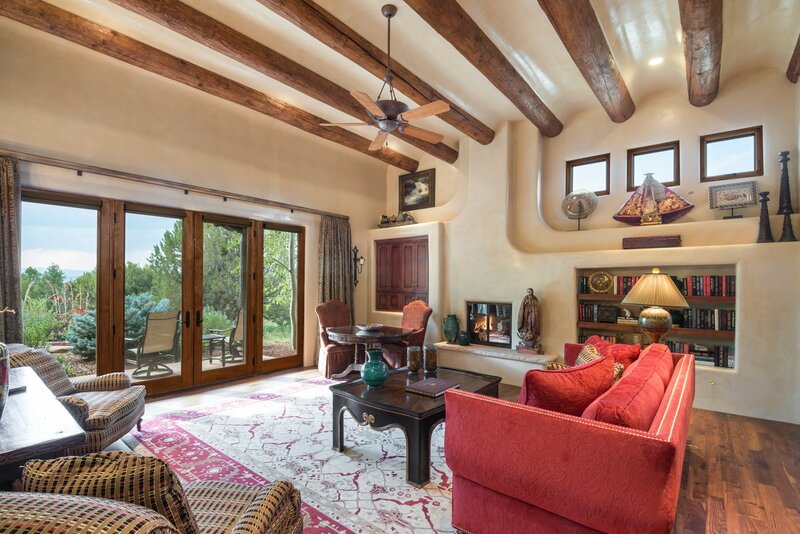 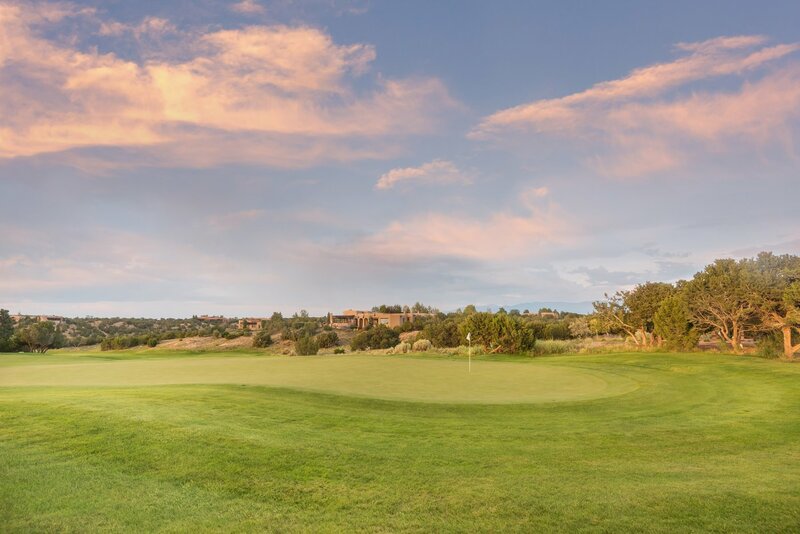 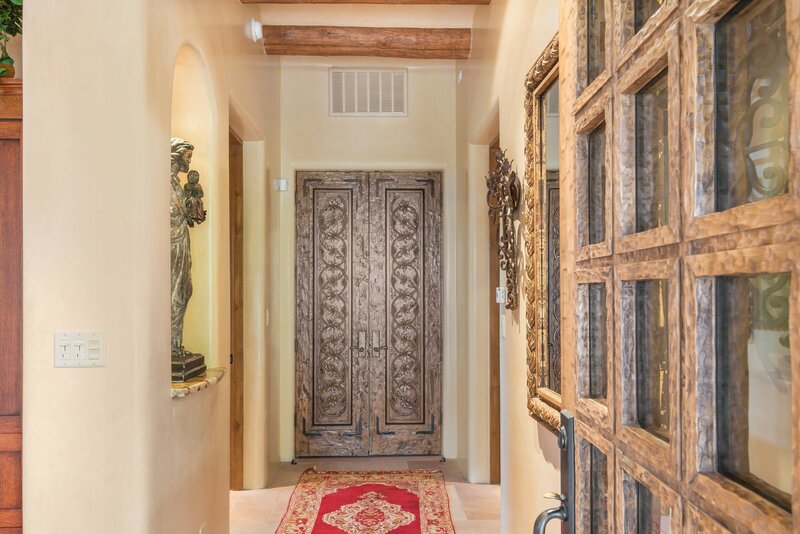 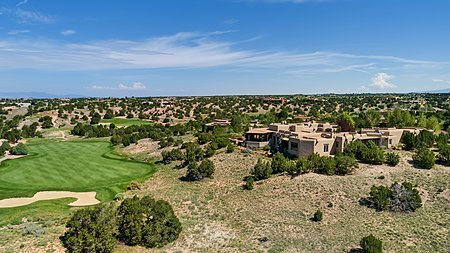 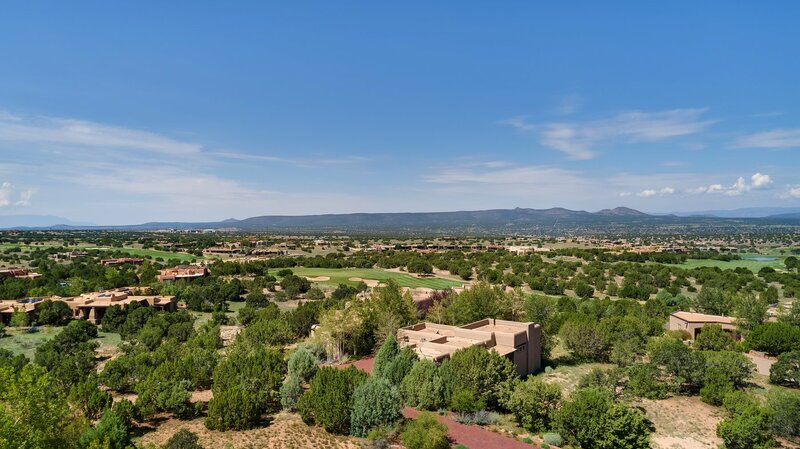 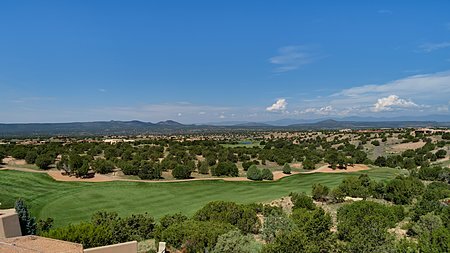 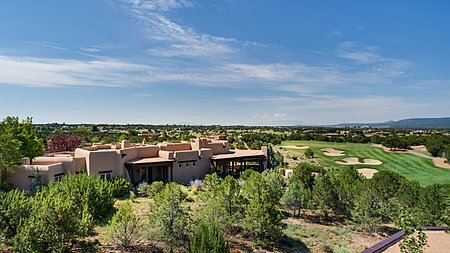 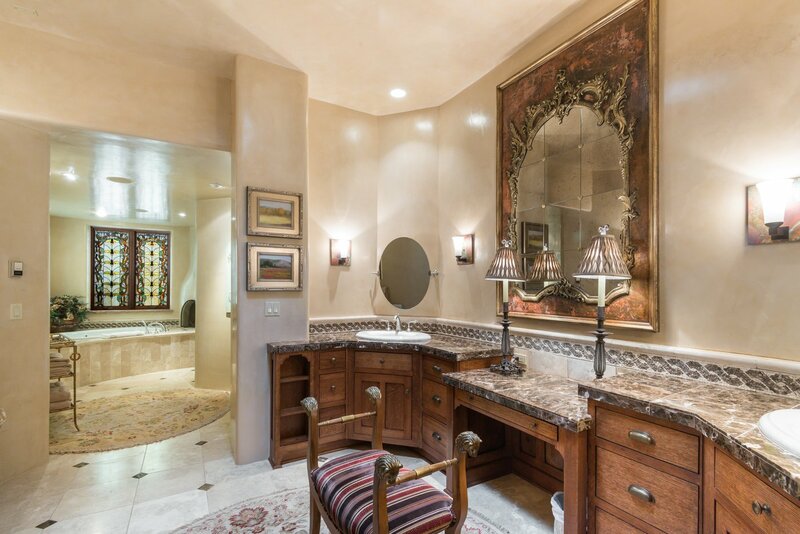 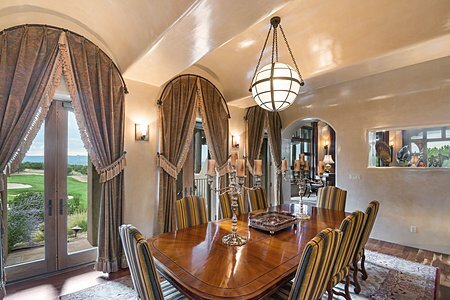 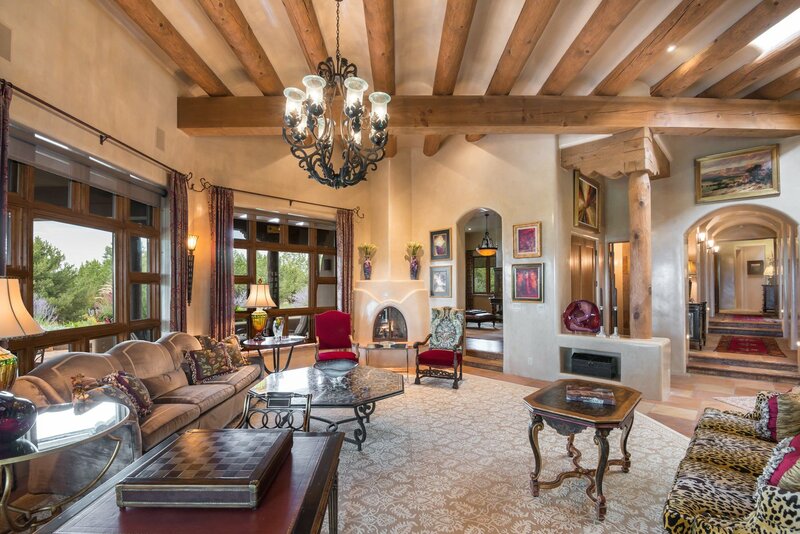 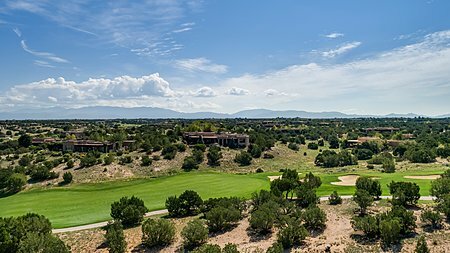 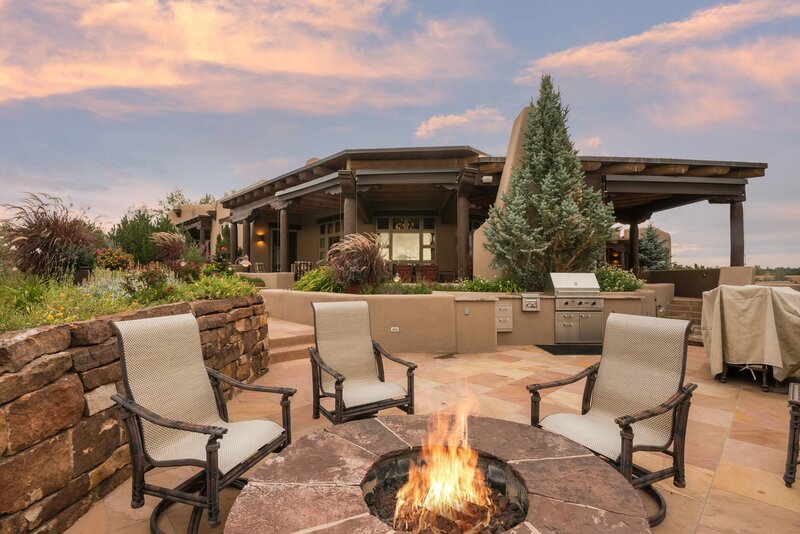 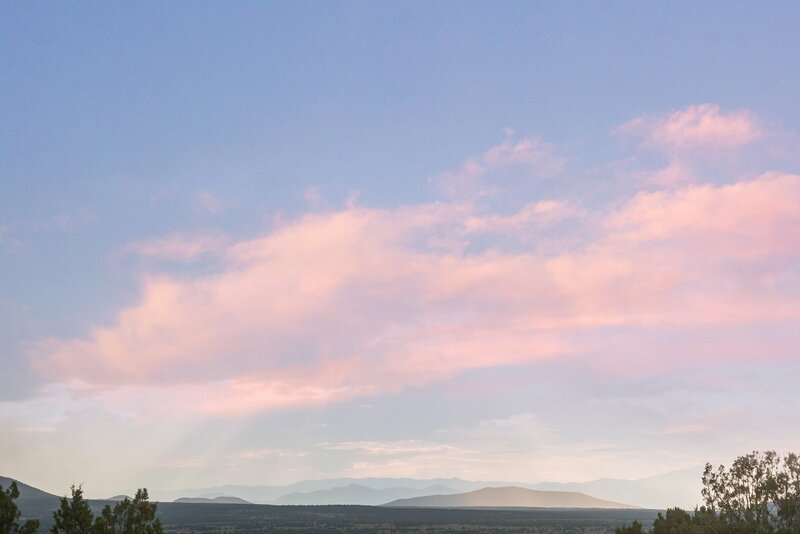 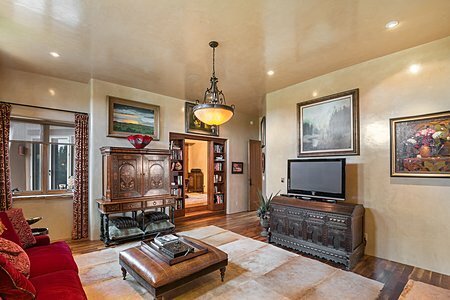 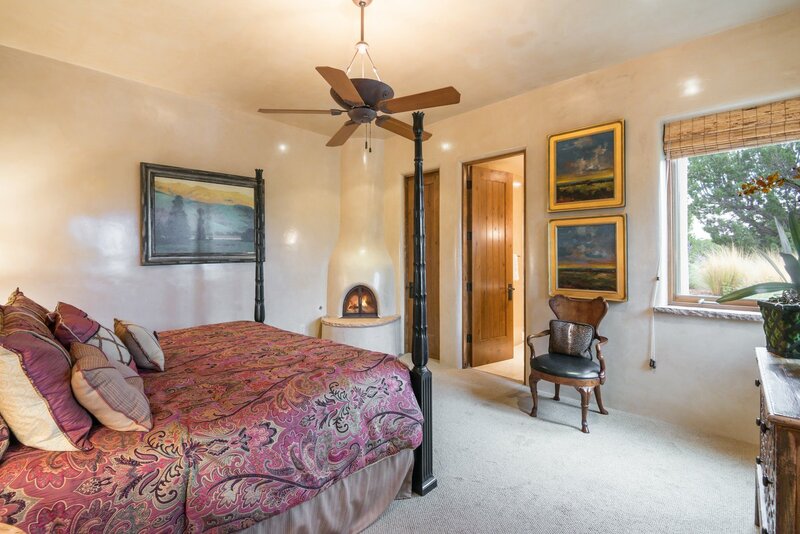 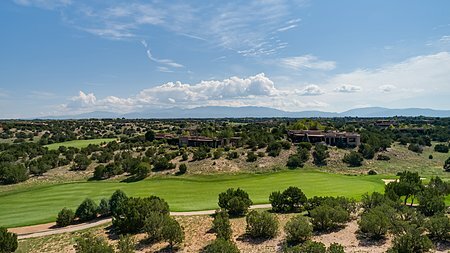 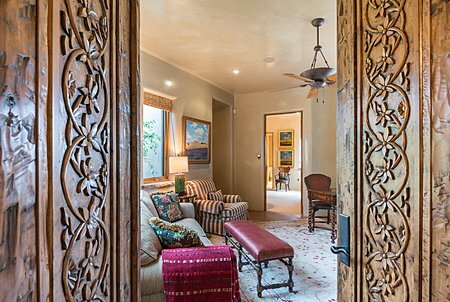 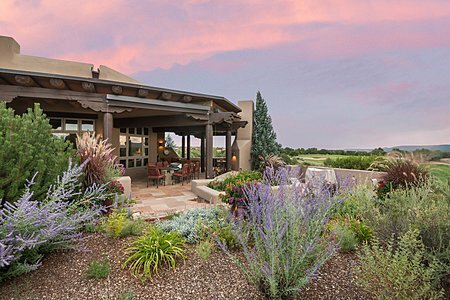 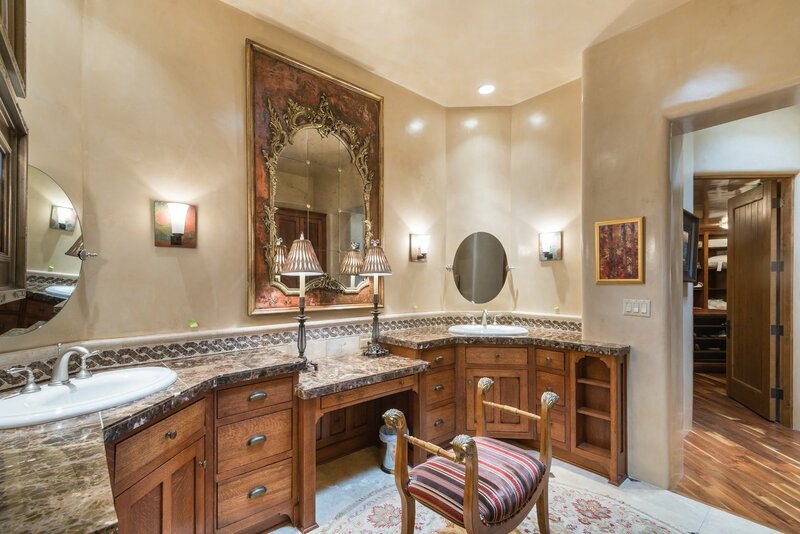 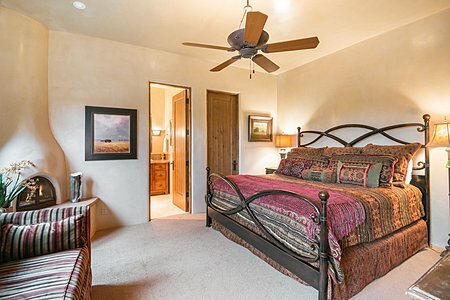 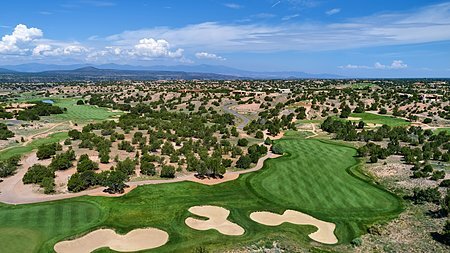 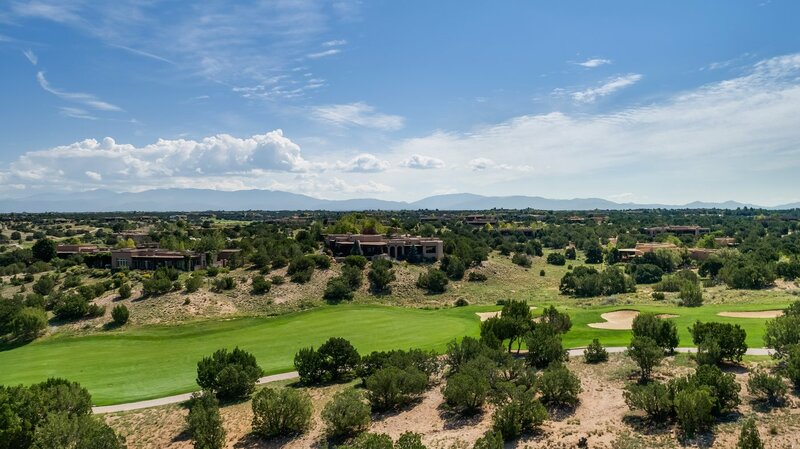 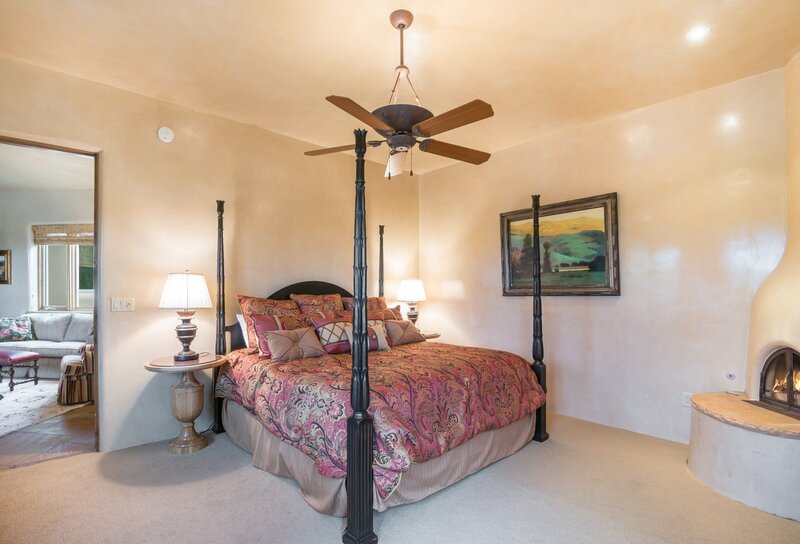 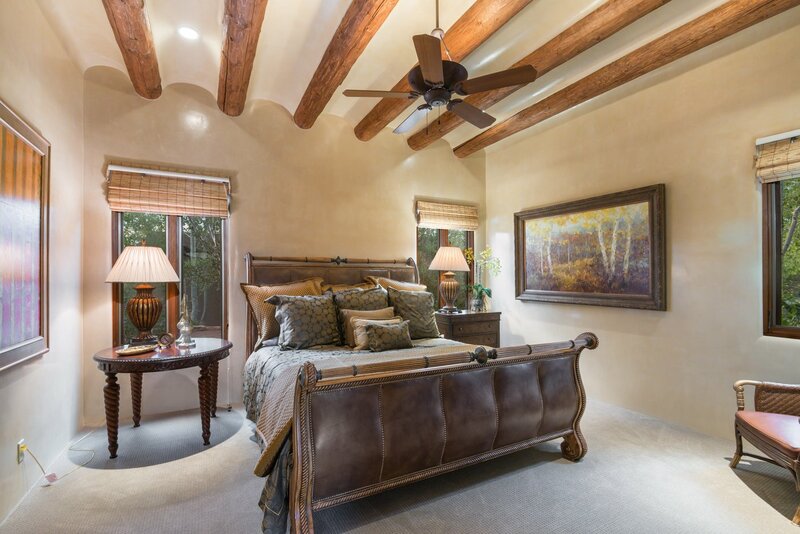 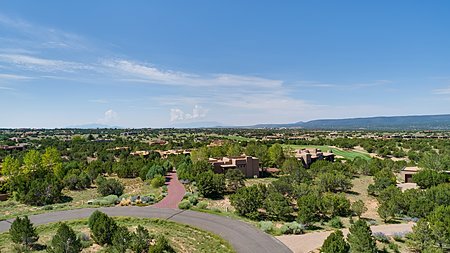 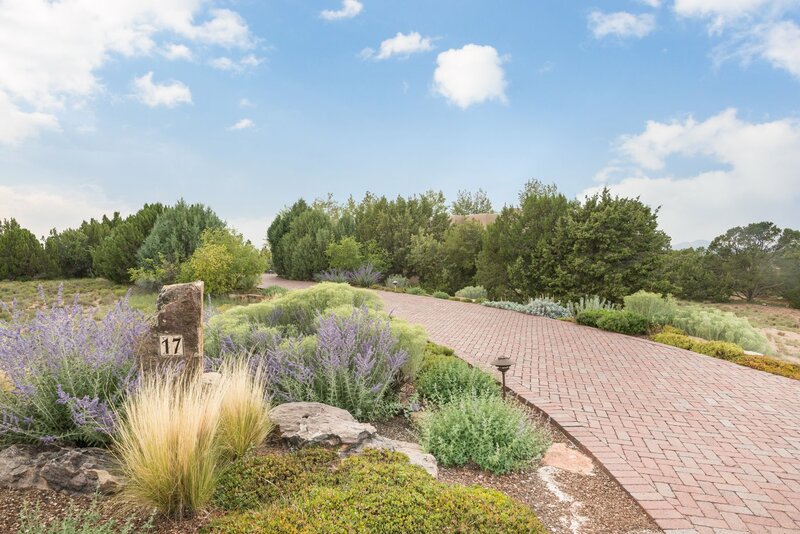 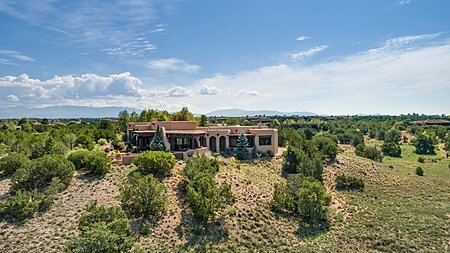 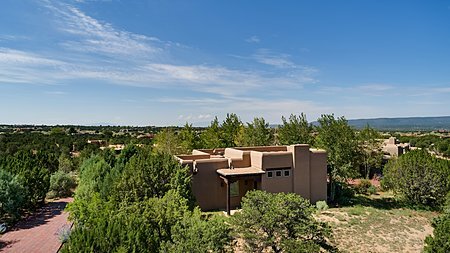 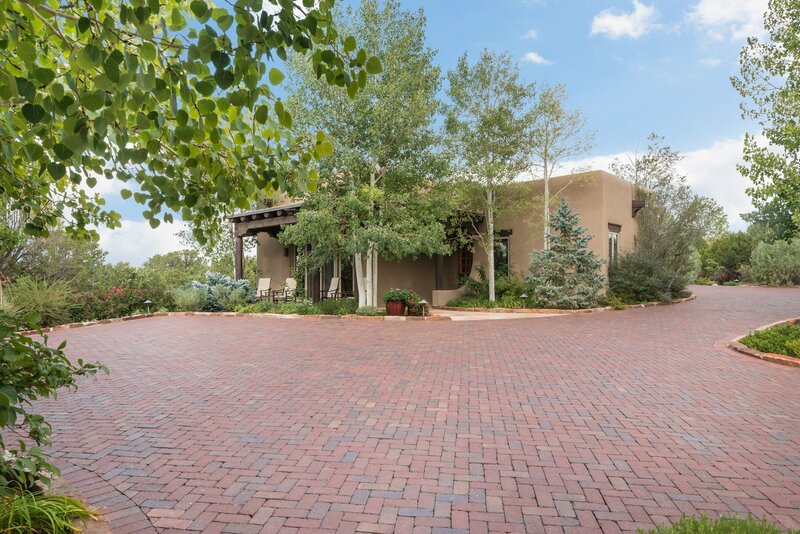 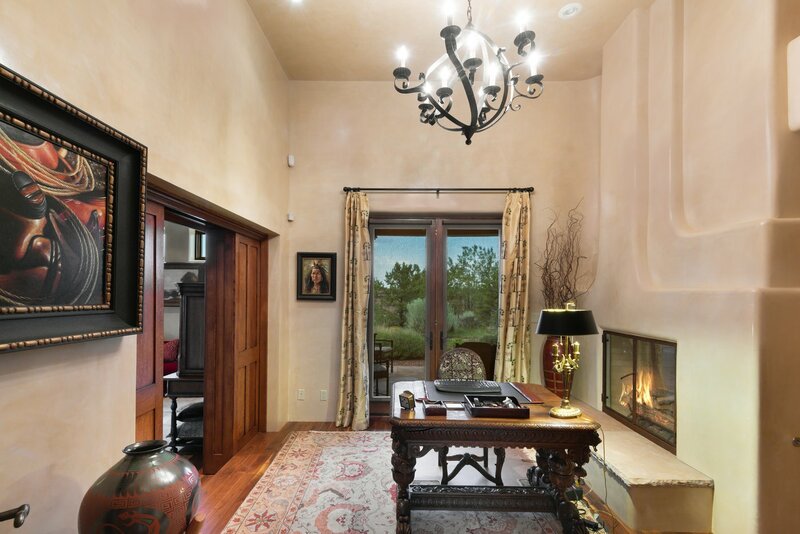 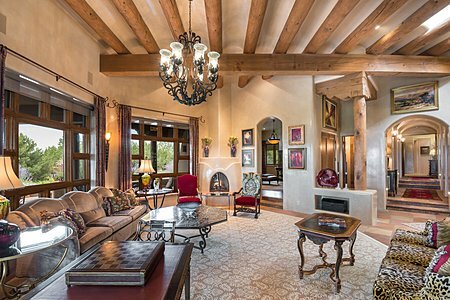 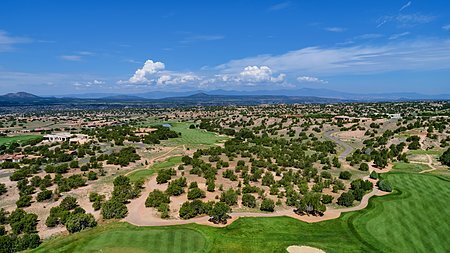 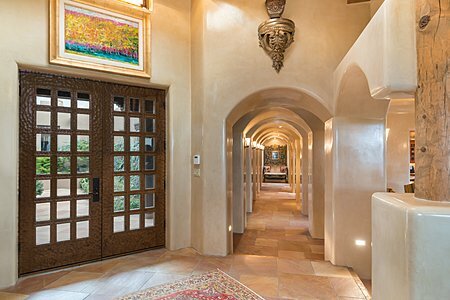 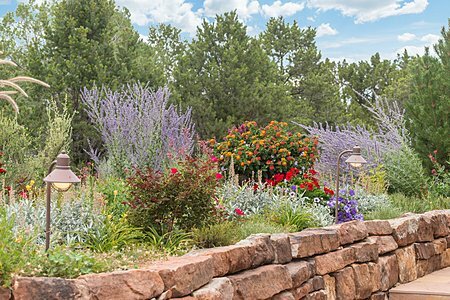 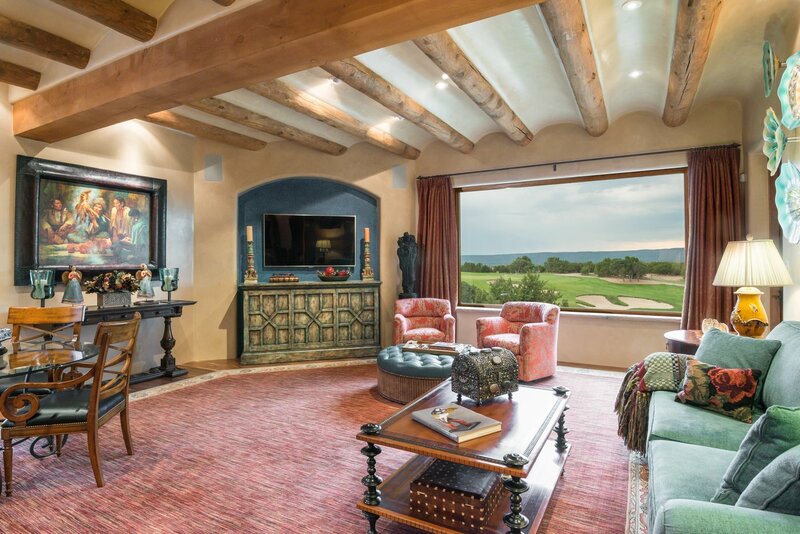 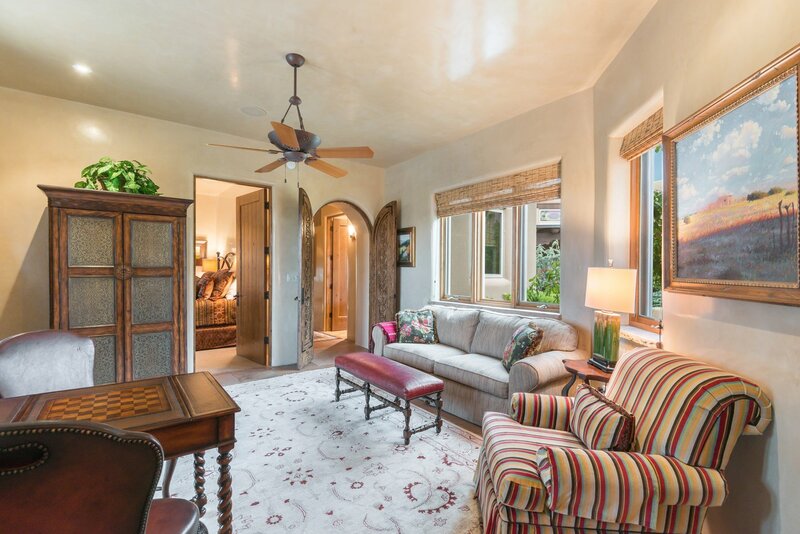 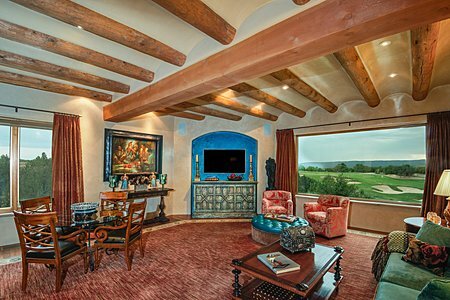 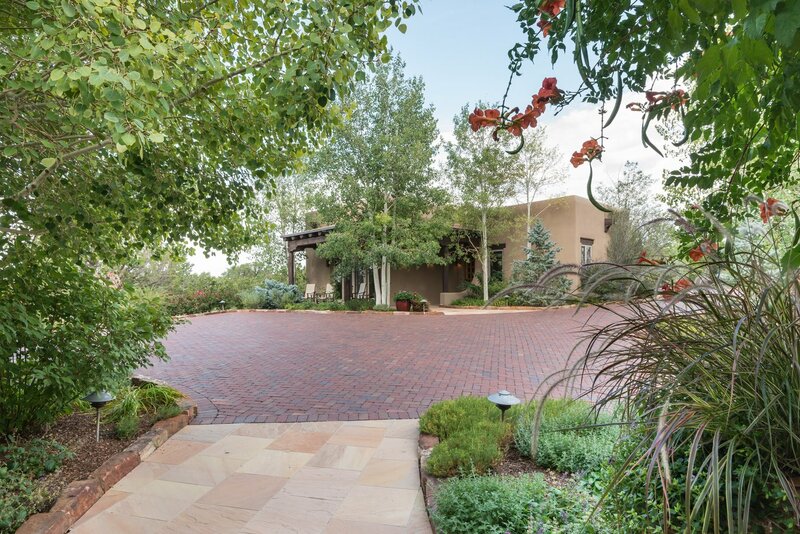 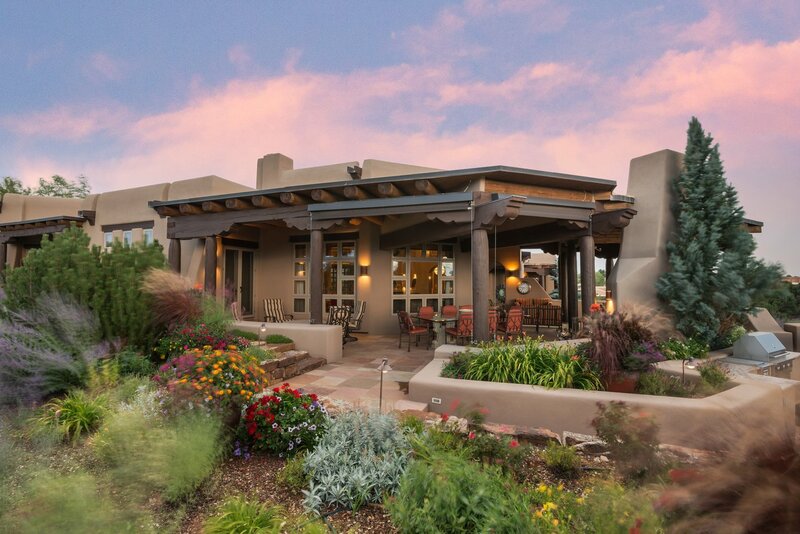 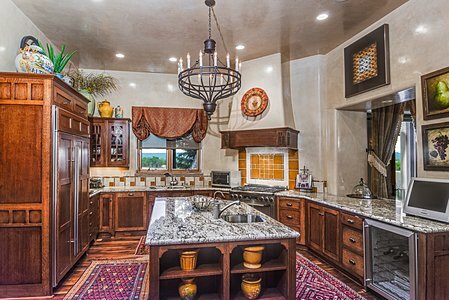 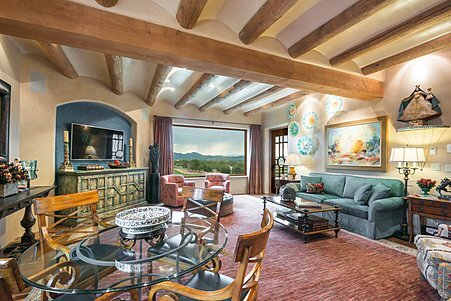 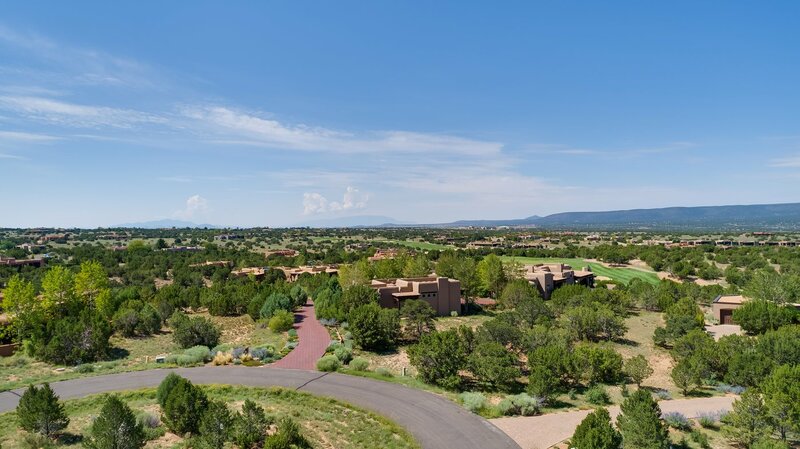 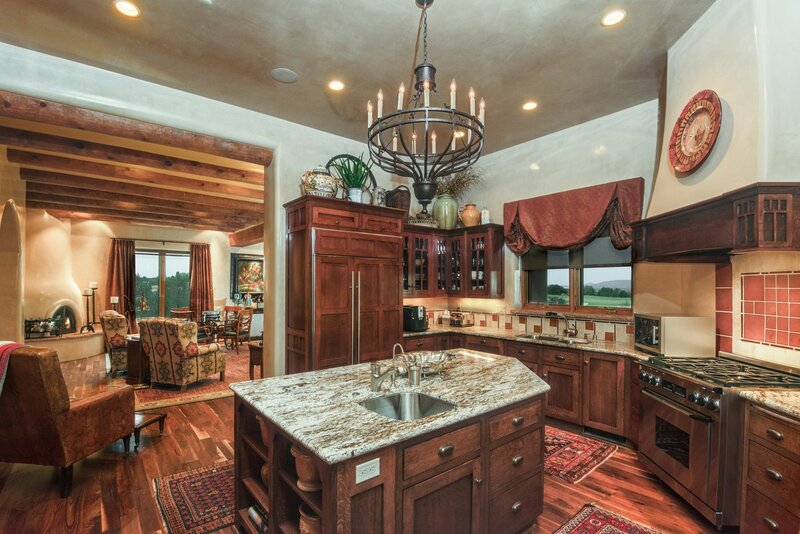 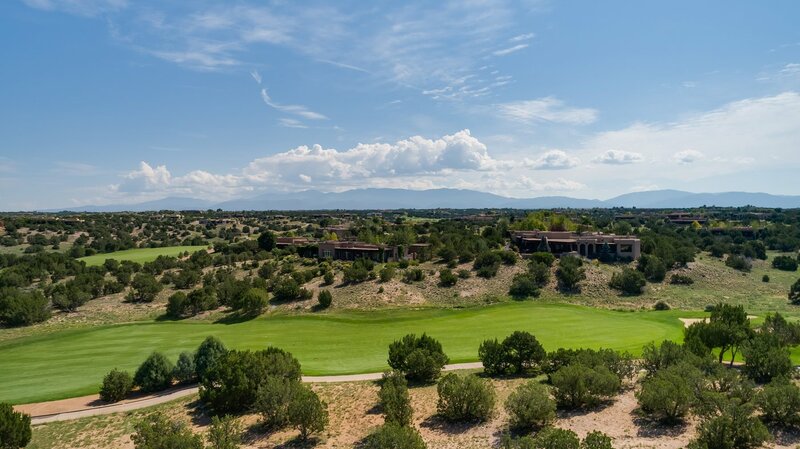 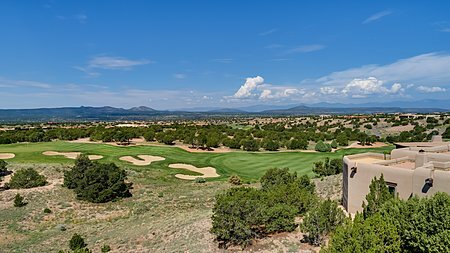 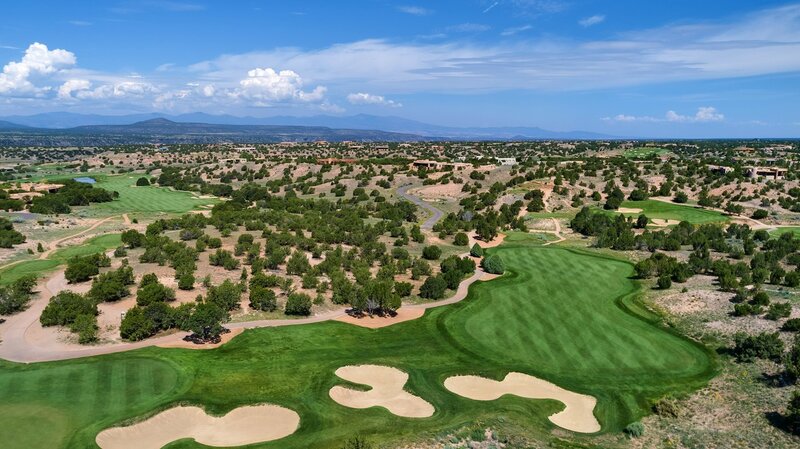 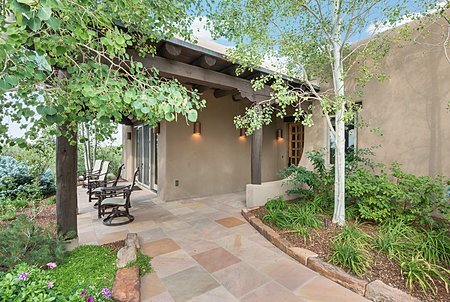 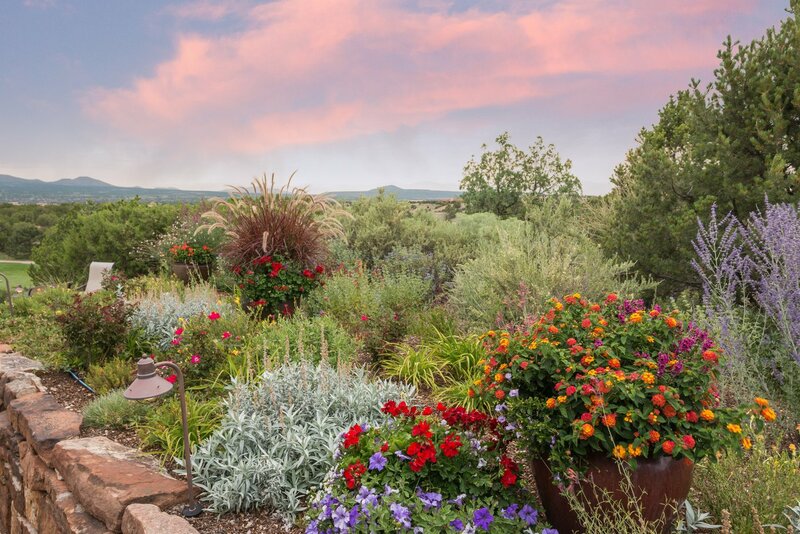 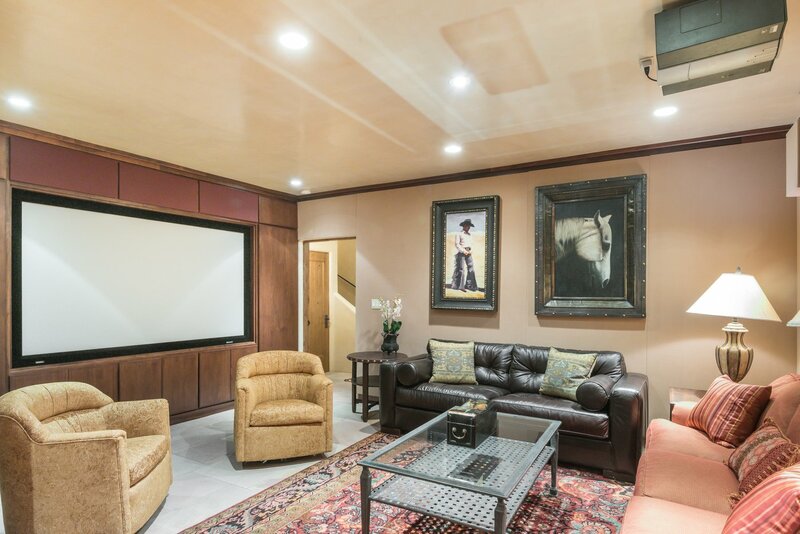 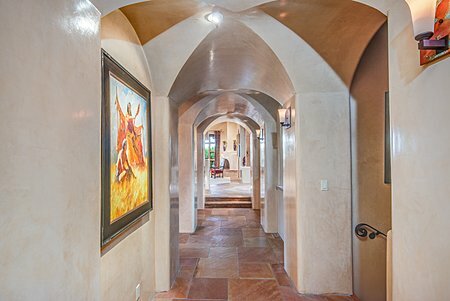 An exciting and elegant hillside compound overlooking the 14th Fairway of the Las Campanas Sunset Course with fabulous views of the Jemez Moountains and brilliant New Mexico sunsets. 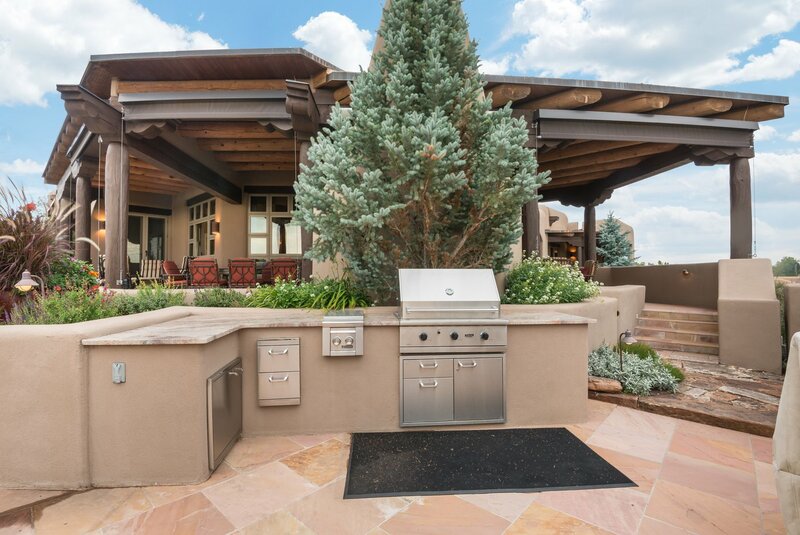 The extraordinary outdoor entertaining areas welcome large gatherings or intimate entertaining. 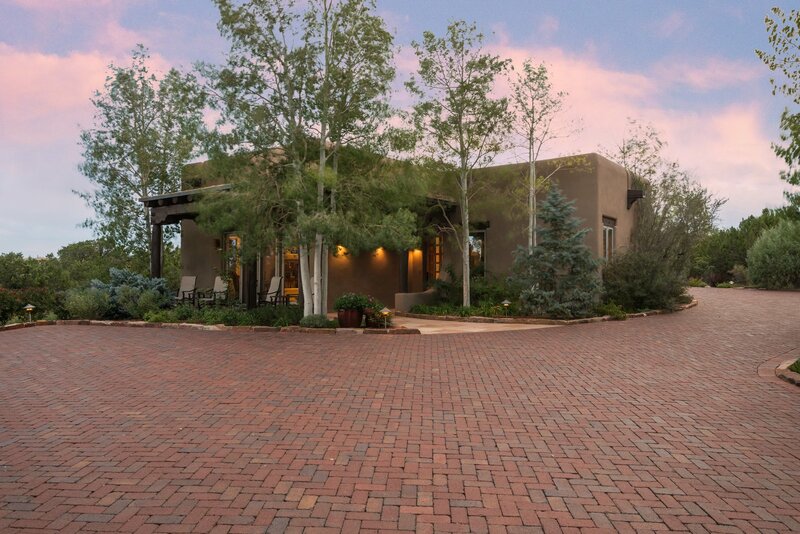 A brick drive and master designed courtyard lead to the front entrance and beyond to an elegant great room that flows easily into the formal dining room. 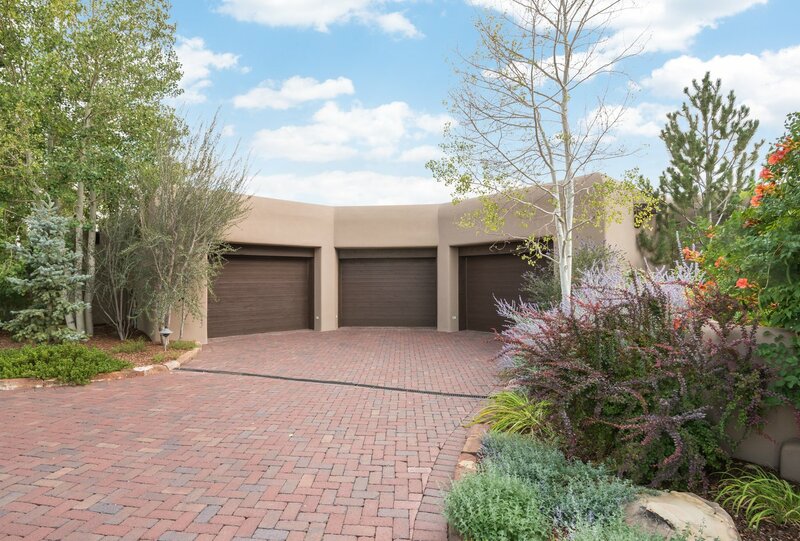 Adjacent is a cook&apos;s kitchen opening to spacious informal living and dining areas.In a private wing of the home is the luxurious master suite with an extraordinary bath and abundent, beautifully fitted closet space. 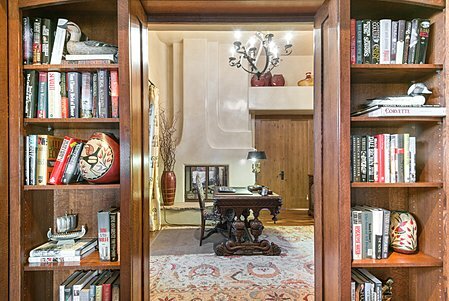 This private wing also includes a library and an office that open seamlessly to one another or can be separated with sliding book cases built by master craftsmen. Two spacious guest suites, each with their own bath and a sitting room between are in a completely separte wing of the house. The media room is perfect for cozy evenings infront of the big screen! 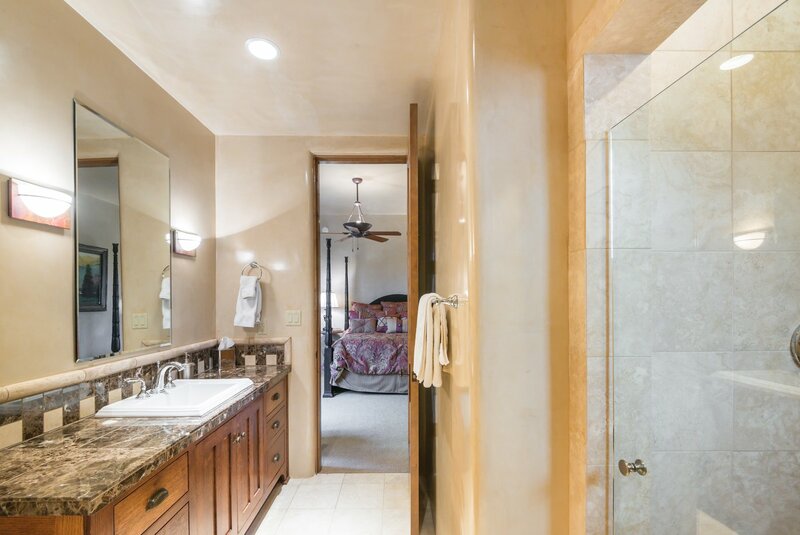 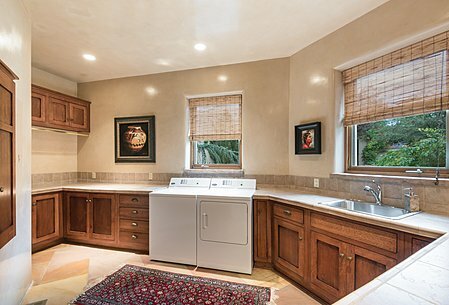 Not to be missed is a three car garage and storage rooms of over 1,700 square feet! 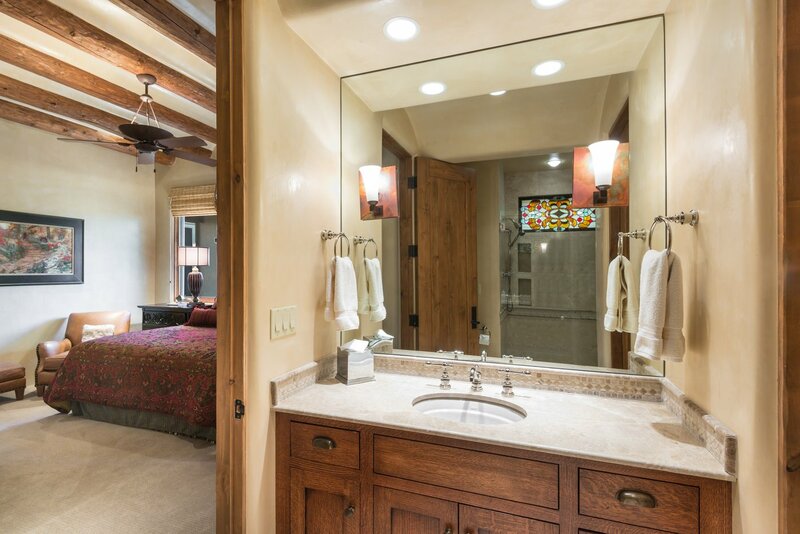 A two bedroom, two bath guest house with great room and kitchen was completed with finishes equal to the main house. 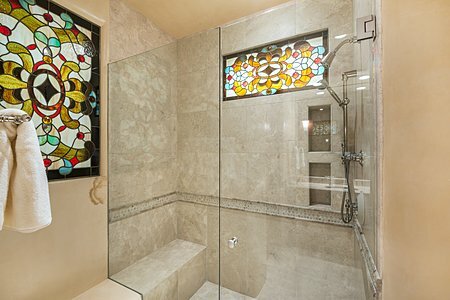 There is little on the market that can compare with this outstanding compound. Main house built in 2002. Guest house built in 2008.